Get my latest blog posts by subscribing now! As a bonus, you'll receive a copy of the Lean book. Many business schools are still teaching outdated theories even outright damaging concepts and practices making the improvement journey harder for many practitioners. What happened to management by objectives MBO and other methods that are still being taught in business schools? Without proper adaptation on how such methods should work to match the high demand of making improvement, these methods will become worthless and unable to match the real world change and the high demand of increased productivity. A large body of evidence suggests that the curriculum taught in business schools has only a small relation to what is important for succeeding. Here is why! MBO is a method for planning and control to achieve the quantitative results, it also called management by results MBR. It was firstly presented by Peter Drucker in 1954. The approach involve assigning some targets linked to a rewarding program that is often based on "financial rewards" The process neglect how targets are achieved as long as the results are got. Sometimes the goals that have been set are "magical" goals and don't match the real state of the company, it means, it will be hard to make and sustain a real improvement on the shopfloor with the current situation. This result in a quick diminish of the quantitative results already achieved through MBO. An example for this, if a senior manager sent a message to the down leaders "get me 20% cost reduction immediately" How will the leaders act to get this 20% cost reduction? There are several methods to achieve this result and get down the costs by 20%. Laying off some regular labors is one of these methods in order to reduce the wages and the other expenses. But would this be the real improvement that we need to make and the real strategy that we need to follow to ensure our process are working efficiently for long-term financial benefits? Since MBO focus only on the results and use some metrics to evaluate these results, such a real improvement won't be made. And the company may find the reduction of employee’s number is working just for a while, afterward the bad financial situation will return back unless the company change its way of doing things. MBO as a method do not pay attention to team working as long as the results are got. And individuals who find a way to succeed gets rewards, others may let go or won't be considered for position upgrade. 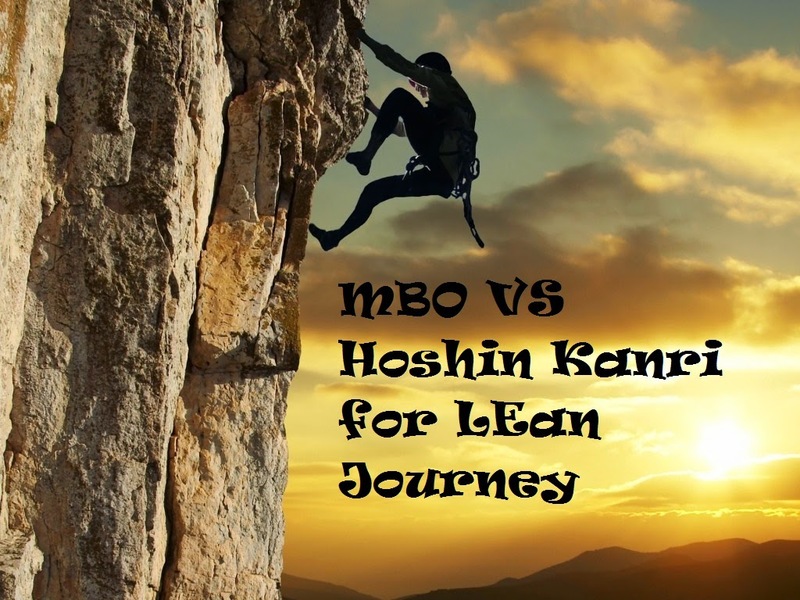 Hoshin Kanri Opposite to MBO, what is Hoshin Kanri? 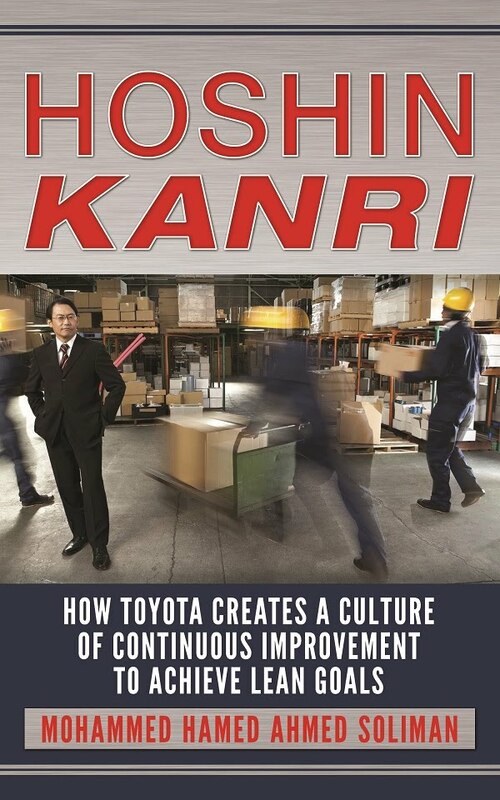 Toyota uses a parallel process called hoshin kanri for aligning the company's vision, goals, plans, and achievements for maximum benefit. Leaders, managers, and senior managers who have spent enough time at the gemba are contributed in the process of setting the company’s goals. Those who have spent enough time at the gemba and are aware of the real situation, are those that should be involved in the process of setting the targets and planning the achievement. Hoshin Kanri use some concrete goals and cascade them from top down with an open eye on the plan and method. The process of setting the targets and the process of planning the achievement should not be independent. If managers are going to set some objectives, they have to understand the real mean to go there. For example, increasing the market share as a long-term vision specified at the top may require an increase of the quality at the down in the manufacturing process. Hoshin kanri is an open mind method. It looks for the innovative ways of achieving the goals and focuses on developing and coaching people on problems solving. It ensures that all people contributing in the process of achieving the targets are aware of the real situation and have spent enough time at the gemba (the place where the work is done). Hoshin Kanri even go beyond the MBO and MBM (management by means). It looks for the innovative ways to achieve the targets under a self-development and a high motivated system. Hoshin kanri focus on the training and self-development in order to ensure that employees are ready to achieve the desired targets. Training in general send a message to the employees that the company want to perform better and improve its processes, so it decided to raise your skills to match the company’s aspiration and we have chosen you to be a part of the company’s special team. In additional it takes the employees out from the work stress for a while (during the training hours) and make them feel that the company is investing on them. During the great world recession and the crisis of recalls when Toyota has lost billions of dollars, they utilized the recession time in training. Training in itself is also a kind of morale reward that could take place of the direct financial reward. It can be considered an indirect financial reward to the employees being trained and that the company value them. A clear vision with concrete goals cascaded from the top management level to the down operation level, enclosed with responsibilities and a strategic plan can encourage team working and improve the process. Each operation department should have an input in this goal, it means, no one alone can achieve the results. Each business goal will have a different mean at every level in the company. For example, a goal of 40% market share can mean higher quality at the quality department, more productivity at the production department, and more attention to the process issues from the operators/workers/supervisors (bottom level). When setting a reward system for your employees, consider that individual growth is tied to overall performance – not just the employee’s ability to generate revenue. A Team-Based Pay system is designed to reward the right behaviors and performance – those that support the company’s goals and culture. Incentives should not be based on individual accomplishments. The rule is "no real problem solving with no real team working"
informative post! I really like and appreciate your work, thank you for sharing such a useful facts and information about evaluating rewared system strategies, keep updating the blog, hear i prefer some more information about jobs for your career hr jobs in hyderabad .